Our natural compost extract produces more tomatoes per plant. 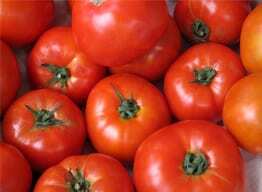 Do You want Lots of Tasty Tomatoes? 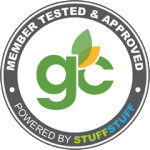 Whether you are growing heirloom tomatoes, cherry tomatoes or any variety of tomatoes, using Great Big Tomatoes Natural Compost Extract will ensure that your garden or container soil will help maximize plant and fruit growth. Our formulation for tomatoes includes the same beneficial microbes, humic acid, kelp and minor nutrients as our all-purpose natural compost extract plus a large dose of a specially fermented biotic solution intended to boost the soil microbial population and help suppress disease. 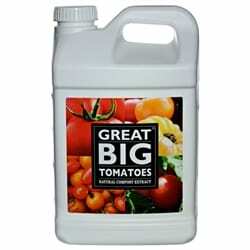 We recommend one quart of our Great Big Tomatoes Natural Compost Extract to feed four tomato plants for a season. One quart of this concentrate will make eight gallons, equal to 64 pint-sized feedings. 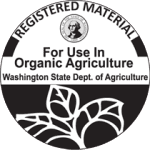 Why do I need Great Big Tomatoes Organic Compost Extract? Better blossoms and a much higher fruit yield. Bright, mouth-watering tomatoes bursting with flavor. Roots that absorb nutrients more efficiently, thereby turbo-charging fertilizer uptake. Rich garden soil, enhanced to maximize plant potential. 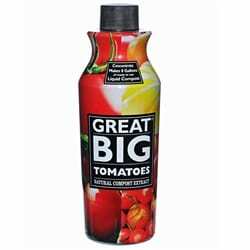 The Great Big Tomatoes formula is so potent that growers for Del Monte, Dole Foods and others have used it for 20 years to improve their tomato yield and flavor. Now we’re passing this super-formula on to you. 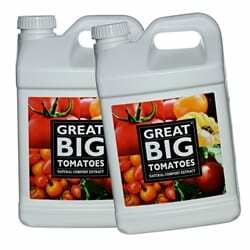 Great Big Tomatoes Natural Compost Extract provides benefits in many ways. It is designed to improve the soil where it matters most – in the plant’s root zone. It flows to the root zone upon application where it establishes and/or replenishes the population of beneficial microorganisms, provides trace amounts of major nutrients, dozens of micronutrients and minerals, and provides carbon (in the form of humic acid) as a food source to new and existing microorganisms. Humic acid also helps the plant uptake micronutrients and improves the soil’s carbon to nitrogen ratio, thereby helping the plant uptake nitrogen. Kelp is known to be a microbe food and a source of micronutrients and is believed to be a source of plant growth hormones such as gibberellins, cytokinins and auxins. 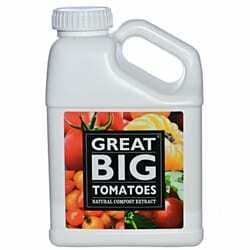 Great Big Tomatoes also includes a proprietary biotic solution fermented to help suppress soil borne disease. A flourishing microorganism population in the root zone is important to helping drive the nutrient cycle. This is especially important when gardeners use the slower-to-convert organic N-P-K fertilizers. The plant will need these major nutrients converted into a bioavailable form in time for the plant’s grand growth phase. The interaction between the roots and microorganisms also involve beneficial biochemical reactions and exudates by the roots and the microorganisms. 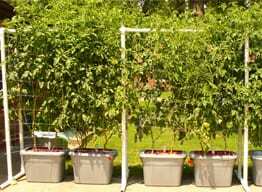 Results of using Great Big Tomatoes Natural Compost Extract will include more vigorous root growth, better soil structure, a wider range of available nutrients and better nutrient uptake by the tomato plant. 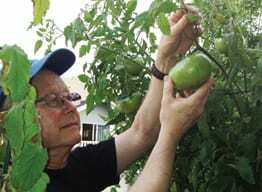 Look for healthier, stronger and bigger tomato plants and bigger, tastier tomatoes. Combine our Great Big Tomatoes Natural Compost Extract with water at the rate of one ounce of concentrate per quart of water. Use one pint of mixture per medium sized plant. Drench the soil around the base of the plant or use as a root dip for new plantings. (see below) After the initial drenching or root dip it is best to apply our Natural Compost Extract twice a month during the growing season and monthly thereafter. One quart will make 8 gallons of ready-to-use liquid compost, equal to 64 pint-sized doses. Use less on small plants and more on large plants, shrubs and trees. 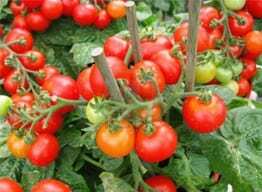 Great Big Tomatoes is not a significant source of N-P-K (Nitrogen-Phosphorus-Potassium), major nutrients found in most popular fertilizers. 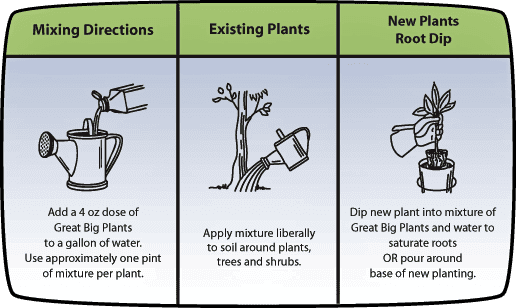 If you want to add these nutrients to your garden soil, we recommend you use a low-dose of a natural or organic fertilizer at planting. If you supply the plant with more nitrogen than it needs, you could end up with lots of beautiful green tomato leaves and not very many tomatoes.